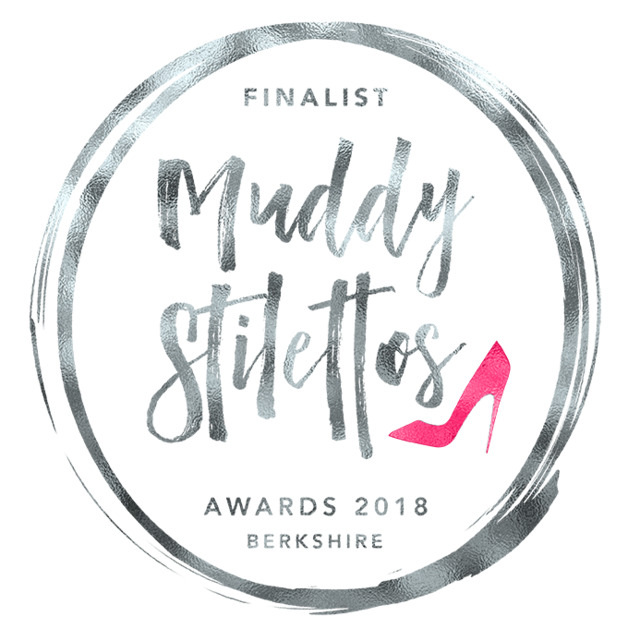 The Muddy Berkshire Awards take the best that Berkshire businesses have to offer across 24 categories and lets you choose your favourite. October is Breast Cancer Awareness month, and we'd like you to join us in a cause that affects most people at some point in our lives. 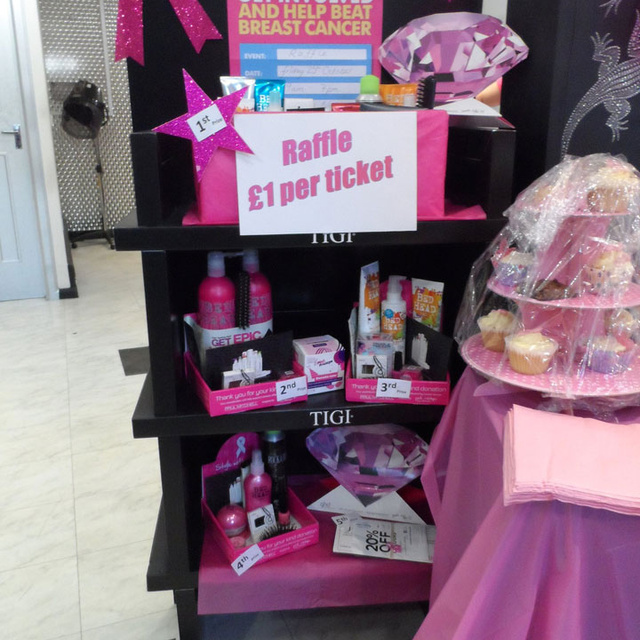 Purchase a raffle ticket for just £2 at reception to be in with a chance of winning a Tigi Catwalk Hamper worth £150! 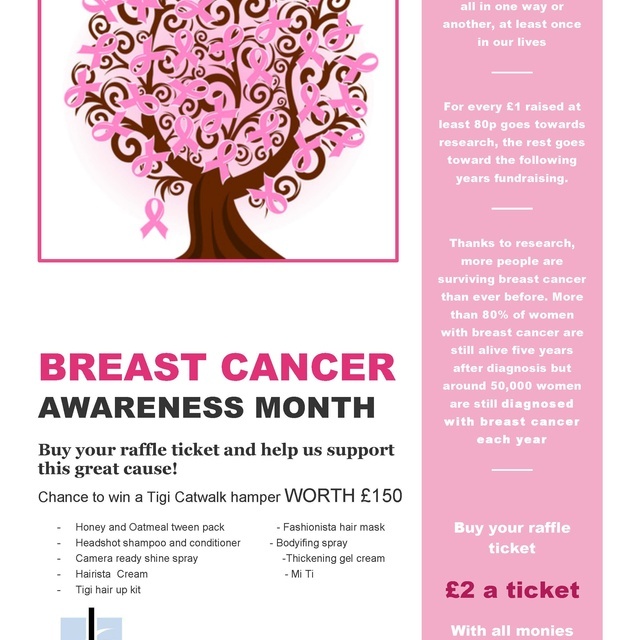 All proceeds go to breast cancer research, so enter today! 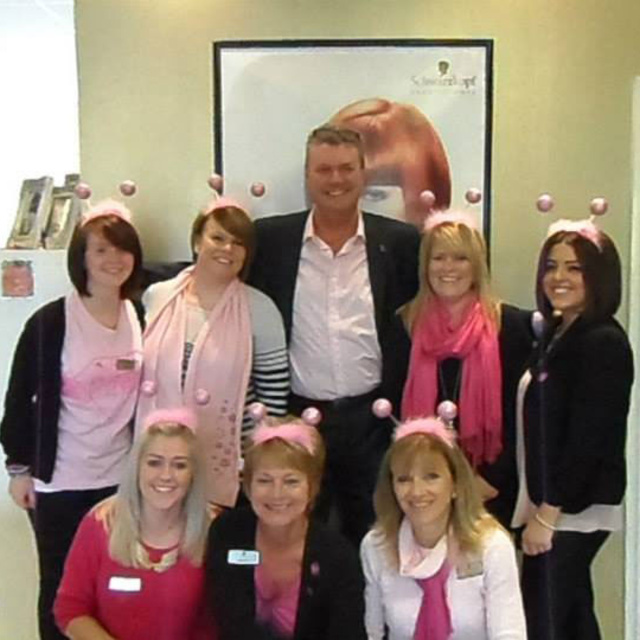 Julian's Hair Salon Thatcham were fund raising for Breast Cancer Care on the 18th of October. Clients were relaxing with pink cocktails in a pink themed salon while enjoying the Julian's customer service. 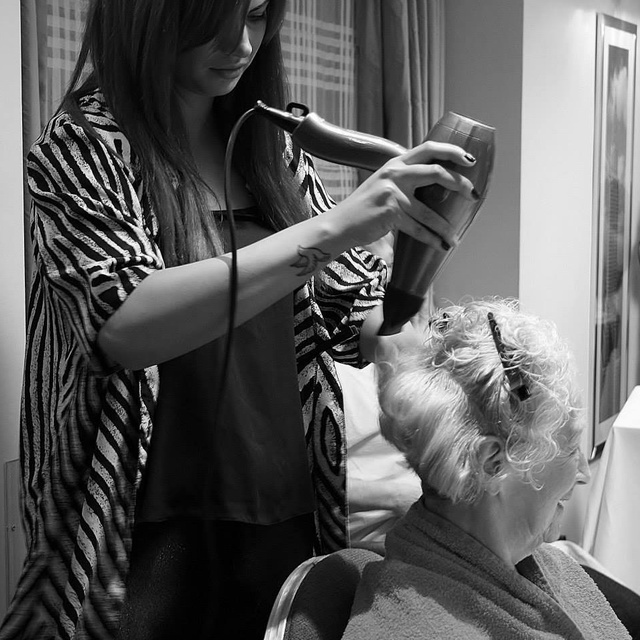 Thanks to your help we managed to raise £59.34 for a great cause – well done all!